which has been out of print in its original edition for a decade, has now been republished as a Library Quality Trade Paperback and is now available on amazon.com as of September 8, 2011. 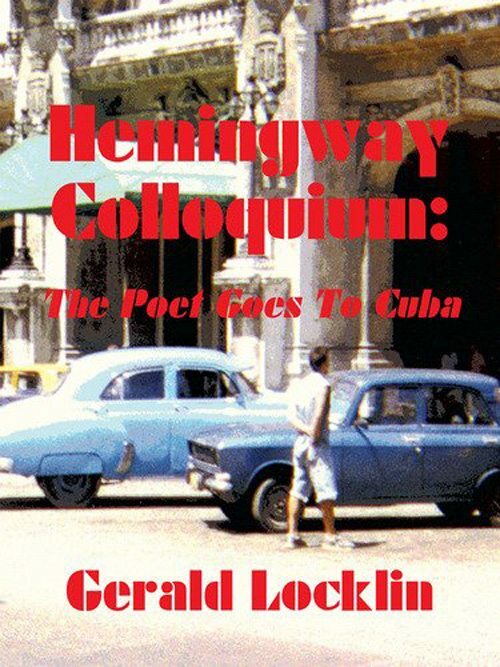 Just search Gerald Locklin’s HEMINGWAY COLLOQUIUM and make sure you are purchasing the 2011 edition, as the previous one is only available at rare book prices and does not include a few new pages, nor the improved color printing that technology has made possible. The publisher, Joseph Cowles, of both the original and new editions, intends to bring all of Locklin’s Event Horizon Press titles back into print as Quality Paperbacks, where possible as E-Books as well, and, we hope, as Audio Books also. Two titles are being recorded for Audio Books this week. In addition to the Cuba book advertised above, these titles will include A Simpler Time, A Simpler Place (a novella and two short stories), Down and Out (a novel), The Firebird Poems, The First Time He Saw Paris (a novella); and Women Trouble (a longstory). Copies of the original books, when available at all, are generally priced well above the cover prices. Again, please make sure you are looking at the entry for the 2011 edition of Gerald Locklin’s HEMINGWAY COLLOQUIUM, not the 1999 edition. Both editions, however, are lavishly illustrated with photographs by the author and color graphics and design by Joseph Cowles. And one essay, “Hemingway as Environmentalist,” which was presented at the International Colloquium in Havana, 1997, legally attended by Gerald Locklin with permission from the US government, was co-authored with Locklin’s longtime friend and frequent academic collaborator, Charles Stetler. This entry was posted in Gerald Locklin and tagged Gerald Locklin, Hemingway Colloquium, Poetry, the poet goes to cuba by Monsieur K.. Bookmark the permalink.